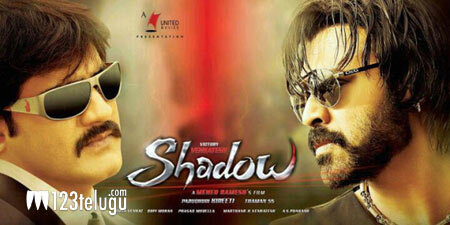 Venkatesh’s upcoming film Shadow is almost complete except for a song. Meher Ramesh is directing the film and Parachuri Prasad is producing the film under United Movies banner. Taapsee is paired up with Venkatesh for the first time in her career whereas Srikanth is playing a crucial role as a police officer. The film’s only remaining song will be shot on Venkatesh and Taapsee from March 9 onwards in Hyderabad. On the other hand, the film’s post production is in full swing and currently the DTS mixing is going on in Prasad Labs. Thaman is scoring the music. The film’s audio which was supposed to be launch on March 7 has been postponed after the audio rights were bought by Hungama music label. A new date will be announced soon and the film will hit the screens shortly.